This recipe uses Japanese ingredients that aren’t always available at chain supermarkets. We suggest going to your local Asian grocer – some ideas in Australia can be found here. Cut chicken into chunks the size of a thumb. Slice onion thinly. Add dashi, sake, mirin, soy sauce and sugar in a bowl. Mix until sugar is dissolved. Halve ingredients for better cooking. Add onion to frying pan, cover the contents with the bowl of liquid. Add chicken and ensure it is covered. Put on the lid and bring to a boil over medium heat. Once boiling, lower heat to medium. Cook till chicken is cooked. Crack an egg in a separate bowl and add to mixture. Gently mixing through if desired. 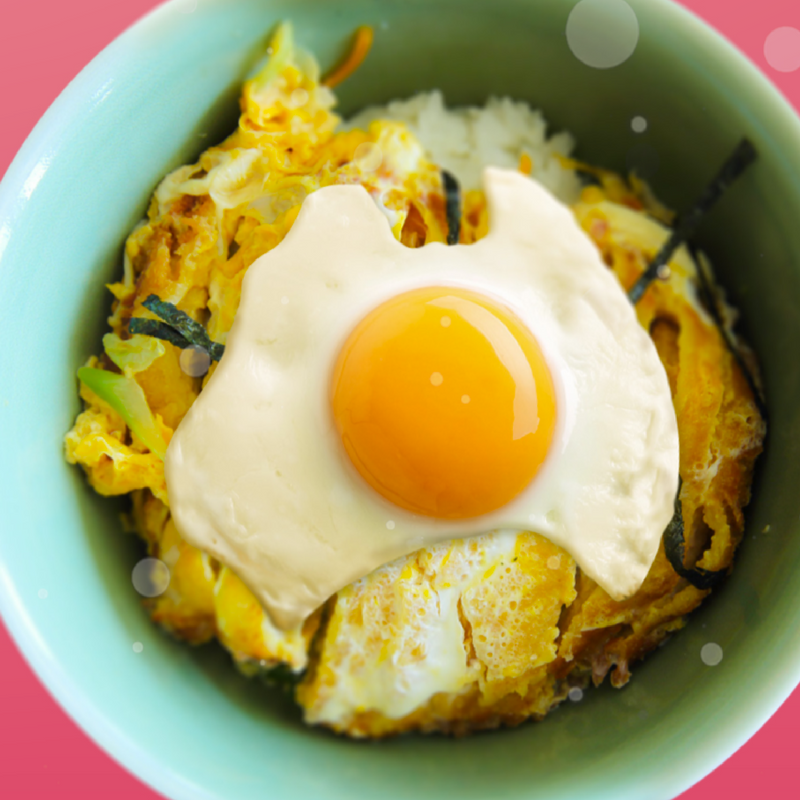 Once the egg is cooked, serve on top of half the rice and repeat the process with the rest of the halved ingredients. Serve with lightly sprinkled Japanese Seven Spice.